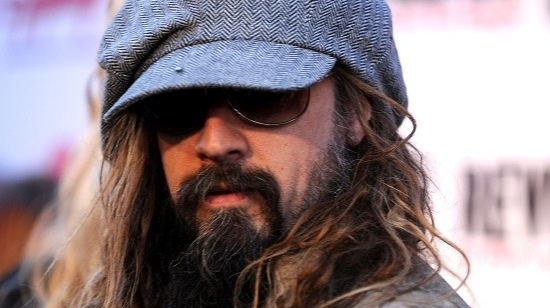 Rob Zombie was at Comic Con 2012 this past weekend, where he opened up for VH1’s Dawn of the Con. While there, he was interviewed by FearNet’s Joseph McCabe and spoke about his forthcoming movie The Lords of Salem and the recently announced co-headlining tour with Marilyn Manson. “I’m really excited about Lords of Salem. I was looking at it today, because we’re just finishing the sound design and the sound mix and all that stuff. It’s a really different movie. Because the last couple of movies I’ve made have been these very handheld, rough, and physically violent sort of films. This isn’t like that at all. It’s a very slow-paced, psychological, specifically composed sort of movie. It’s almost the exact opposite of what I’ve done before. So I’m really excited to get it out to see what people think. It’s not what they expect it to be. If Alice Cooper’s collaboration with Zombie was a case of “Frankenstein Meets the Wolf Man,” how would Zombie describe his tour with Manson?